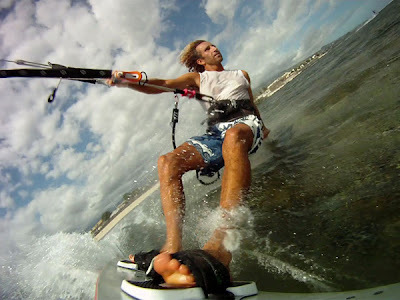 KITESURFING SRI LANKA: Tristan from the Reunion Island! Tristan from the Reunion Island! It just changes lives. You meet amazing people from all over the world. Tristan Dubourg from the Reunion Island was one of the persons met on a nice windy day on the beaches of Mirissa. He hadn't brought a kite so he did what any other kite would do...buy one! Hope you are enjoying your Faith Kite Tristan. The 2011 series is just out! Ps. How many of you know where the Reunion Island is?